Dr. Jeffrey Hagen is a well-known thoracic and cardiac surgeon in Los Angeles, California. He received his medical diploma from the Creighton University School of Medicine in 1986. After getting his medical degree, he did an internship in general surgery at Creighton University. 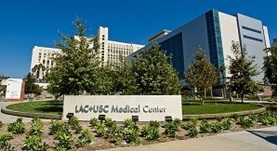 Dr. Hagen completed his medical education with two residency stages, one at the University of Southern California – LAC+USC Medical Center and the other one at St Joseph Hospital and a fellowship in thoracic surgery at Washington University - Barnes-Jewish Hospital. He is certified by the American Board in thoracic and cardiac surgery and his subspecialty is general cardiac surgery. 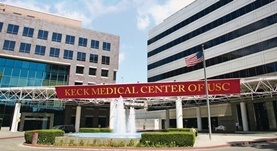 Currently, he serves in some hospitals in the area, being affiliated with Keck Medical Center of USC and LAC + USC Medical Center. He was awarded four honors: ACS Fellow, Super Doc, Top Doctors LA area in 2013 and Southern California in 2012. He has published a lot of articles in collaboration with other doctors. He is a member of the American College of Surgeons. Dr. Jeffrey Hagen has contributed to 3 publications. Greene, C. L.,DeMeester, S. R.,Augustin, F.,Worrell, S. G.,Oh, D. S.,Hagen, J. A.,DeMeester, T. R.; Ann. Thorac. Surg.. 2014 Sep 27. High resolution manometry sub-classification of Achalasia: does it really matter? : Does Achalasia sub-classification matter? Greene, C. L.,Chang, E. J.,Oh, D. S.,Worrell, S. G.,Hagen, J. A.,DeMeester, S. R.; Surg Endosc. 2014 Sep 25. Acute esophageal necrosis: a case series and long-term follow-up. Worrell, S. G.,Oh, D. S.,Greene, C. L.,DeMeester, S. R.,Hagen, J. A.; Ann. Thorac. Surg.. 2014 Jul 06.